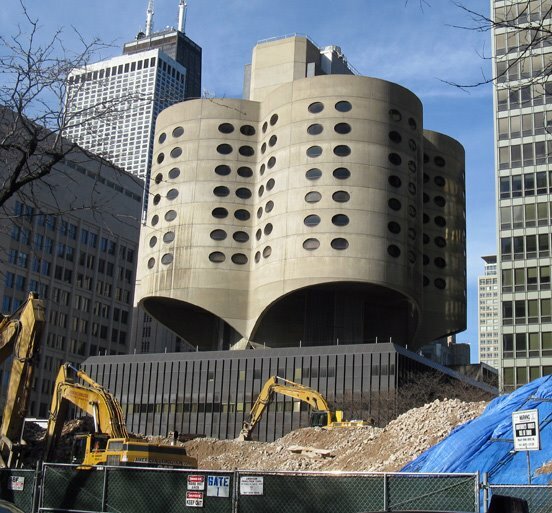 In a letter to his constituents Saturday morning, 42nd ward alderman Brendan Reilly announced that he had persuaded Northwestern University to delay for 60 days their filing for a permit to demolish Bertrand Goldberg's Prentice Hospital. At a meeting last week, the University told Reilly what its spokesman Al Cubbage told Sammy Caiola for a report in the Daily Northwestern, "When it becomes vacant we will begin taking the building down." The building's current tenant, the Stone Institute of Psychiatry, is scheduled to move out this coming September. And where, you might ask, is the Commission on Chicago Landmarks in all this? As always when there's a real fight to be fought, MIA. Although the threat to Prentice has been clear ever since construction of the new Prentice was announced, the Commission has taken no action to protect the building. And since it's a modern building, it never made it onto the Commission's Historic Resources Survey, which means its not even eligible for the 60-day delay that an Orange-rated building on the survey would get once a request for a demolition permit was filed. Reilly said the University will wait for the release of a re-use study for the building, which is currently being co-ordinated by Landmarks Illinois. Reilly has become something of a hero among preservationists. He was instrumental to the fight to save Jarvis Hunt's Lakeshore Athletic Club at 850 North Lake Shore Drive, which was also owned by Northwestern, which wanted to sell it to a developer to be destroyed for a Lucien Lagrange highrise. Reilly also led City Council opposition to Richard M. Daley's drive to put the Chicago Children's Museum in Grant Park. Although Reilly ultimately lost, 33 to 16, in the City Council, his opposition made a major contribution to continuing the fight and drying up fund-raising to the point where the Museum now appears to have given up in favor of staying at Navy Pier. In the case of Prentice Hospital, an absolutely essential piece of Chicago architectural history, Reilly may simply be hedging his bets. He's already crossed Northwestern, an incredibly powerful and ruthless entity, once, and may be reluctant to do it again. It could go either way. Reilly could use the Re-Use study as a rallying point for his opposition to demolition, or he could use it as proof there's no real possibilities for the building, shed crocodile tears and stand aside as its smashed into nothingness. And, of course, Northwestern loses nothing by conceding the 60 days. They can't begin demolition until the tenant moves out in September, anyway, and by making what is ultimately a meaningless concession, they can add to their false-front PR profile as a caring institution, covering over the reality on being hell-built on destroying Prentice from day one. For more information on the importance Bertrand Goldberg's Prentice Hospital, check out Landmarks Illinois, Preservation Chicago, the National Trust, Blair Kamin's recent piece in the Trib, and the Save Prentice page on Facebook. You can also read Brendan Reilly's full statement, after the break. As you know, over the past four years of my first-term in office, I have worked closely with the Chicago and Illinois landmark preservation community to save a number of architecturally important historic buildings across downtown Chicago. I have come to appreciate the importance of preserving our city's most important architectural gems. In fact the first major controversy I faced was in Streeterville, concerning the impending demolition of Jarvis Hunt's 1927 Lakeshore Club at 850 North Lake Shore Drive. During the deliberative process I conducted when weighing the future of 850 N. Lake Shore Drive, I relied heavily upon research and financial studies to determine whether the historic building could be re-used and saved from demolition. After reviewing the facts, I believed the building could and should be re-used. Three years later, a private developer is in the process of converting the building into luxury senior residences. Since then, I have partnered with Preservation Chicago and Landmarks Preservation Illinois to landmark and save many other important structures in downtown's 42nd Ward. I am very proud of that track record and will continue to support the preservation of our important buildings, so long as they can be realistically repurposed to achieve the best use of the building without dramatically impacting the value and functionality of the property for future use. Several months ago, I met with representatives of the preservation community to discuss their interest in protecting the Old Prentice Women's Hospital from demolition. At that meeting, we agreed that a Re-use Study should be conducted to determine whether or not the building could be repurposed and potentially re-used for future institutional use. The Re-Use Study is being finalized and will be presented in the coming weeks. 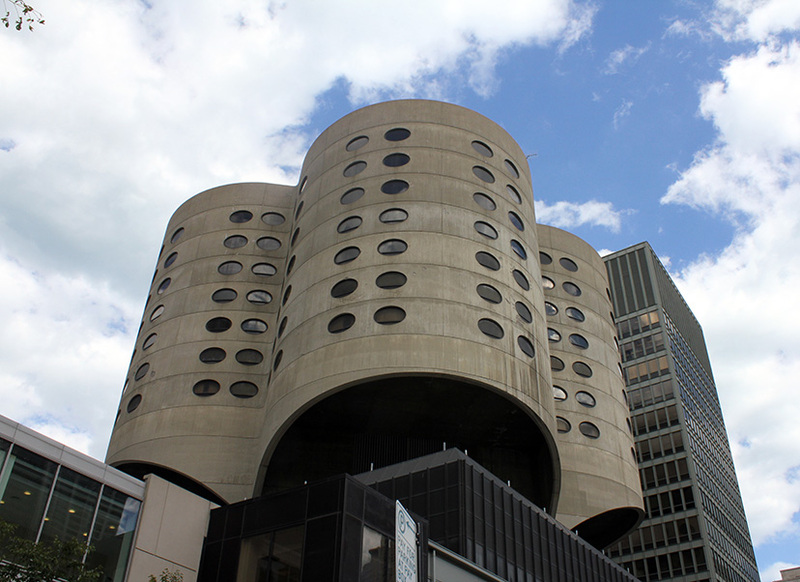 The Study will offer three potential options for the re-use of the Old Prentice Hospital site and will approximate the costs associated with those possible options. Unlike 850 North Lake Shore Drive, the Old Prentice site will not be sold to a private developer, but will be redeveloped for continued institutional use moving forward. Earlier this week, I met with Northwestern University, the owners of Old Prentice Hospital, to discuss their preferred future plans for this site. During our meeting, Northwestern representatives informed me of their plans to immediately apply for a demolition permit to take down Old Prentice Hospital. After lengthy discussion, I persuaded the University to suspend their plans to apply for a demolition permit for 60 days before filing any applications with the City of Chicago. I made it very clear that the Old Prentice Hospital building deserves a careful review and the Re-Use Study must first be presented, vetted and given the consideration it deserves. Once I receive a Final Draft of the Re-Use Study, it will be shared broadly and made available for public review through a link on our website at www.ward42chicago.com. I look forward to the coming public conversation about the future of this site and am eager to review and consider the Re-Use Study once it is finalized and presented publicly. In the coming months, we will review all of the facts and financial figures to determine whether or not the Old Prentice Hospital building can be redeveloped in a cost-effective manner that meets the institutional needs for a future research facility at this site. I look forward to working with you during this transparent community process. 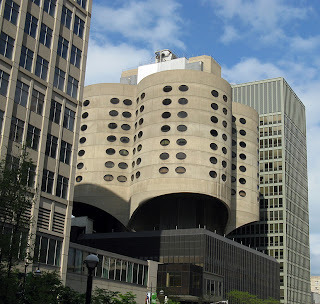 I dissagree that Prenitce is "absolutely essential piece of Chicago architectural history" It is an obscure building that most Chicagoans don't even know about. It has not aged gracefully; has outlived it's function; and is anti-urban. It may be a marvel of engineering, which is appealing to architects (like me) however I do not think it is a beloved iconic structure. Northwestern should be able to do as it pleases with it's medical campus as they are ina very competative marketplace. I say this is not a battle worth fighting for. Hilarious that you would say it is anti-urban. Have you paid any attention at all to NMH's developments in Streeterville? They're all banal beige monstrosities with enormous parking structures. Furthermore, the idea that NU has free reign to tear down anything and put up whatever they please is a joke. It's not THEIR medical campus; it's a medical campus squeezed in between the Mag Mile and a neighborhood full of citizens, tourists, and businesses. If they don't recognize that then they should relocate all of their facilities to the IMD. Not aging gracefully and anti-urban is in the eye of the beholder, particularly since Goldberg's other hospitals built at the same time are still functioning fine and Rush is building a new hospital which is basically one of his designs without concrete and on steroids. Just because something has lost its original purpose doesn't mean you throw it away. I'm a current Northwestern student and can think of several different potential reuses for Prentice, particularly when it comes to student services. The current building containing those offices and the bookstore, Abbott Hall, is in the furthest, most inconvenient part of campus. The design of the building also makes it incredibly difficult to find where you need to go. Prentice is situated right in the middle of the medical, business, and law schools (directly connected via tunnel or bridge to the medical campus) and would be an ideal location. We also desperately need a student union and community space to promote interaction, which is currently non-existent within and between programs. I would be very surprised if Prentice would require extensive work to convert into a welcoming, functional student center, which would have the added bonus of keeping with Goldberg's original spirit and vision. A point many also seem to be missing is that Northwestern doesn't seem to have the funds to build something new at this time. A rush to demolition would only serve to create another vacant lot in the middle of Streeterville. I'm sorry Nick, but the "furthest and most inconvenient" Abbott Hall is at the end of the block. I work for Northwestern and I'd like to see it torn down. Like all Goldberg buildings, it's an eyesore. I believe a student perspective is a bit different from an employee perspective. I know several other students who feel Abbott Hall is not ideally located. "Down the block" seems a lot further when it's cold, snowy, and the wind is blowing off the lake. We currently have a small space for student use there now... you can chalk this one up to laziness but the reality is most students aren't willing to take the time to go all the way over there just to eat lunch or socialize. At any rate the bigger issue is that Abbott Hall is a terribly laid out building and there is no space there to sufficiently expand student amenities. It's a shame you feel the building is an eyesore, especially since the Northwestern campus is gradually becoming visually sterile and uninteresting. Love it or hate it, you will remember Prentice. The same cannot be said for its replacement or any of the other buildings NU and NMH have constructed in the past 30 years. Even if I didn't appreciate the architecture, another vacant lot on this campus would be even more of an eyesore to me, especially when the building could have been recycled, but to each his/her own. got the memo, did you Anonymous? all Goldberg's buildings "eyesores"? Thank's so much for your imperial dictate, so perfectly Northwestern. Over 1,000 people live in Marina City, and it's one of the key attractions in the city and worldwide. So kind of you to point out that everyone else is wrong and you're right. And the trash your institution keep putting up are not eyesores? In the land of the blind, the no-eyed man with all the expensive lawyers is king. I've said it before, I am willing to chain myself to this building to block the wrecking ball. This building is one of only a handful of buildings in Chicago designed by Goldberg who was one of the most influential architects of the past 100 years. Love or hate the aesthetics, that is not the choice we face here. The choice we face is one of throwing away our history, architectural legacy, and an irreplaceable engineering feat versus preserving all of that for future generations to judge.